New Delhi: Forest and tree cover in India has increased by nearly 1% since 2015 to 802,088 sq.km or about 24.39% of the country’s total geographical area (GA), shows a report released by the environment ministry on Monday. In a worrying trend, however, the report shows that forests in most of the biodiversity-rich north-eastern part of the country have been contracting continuously over the last few years. As per the India State of Forest Report (ISFR) 2017, released by Union environment minister Harsh Vardhan on Monday, India’s total forest cover is 708,273 sq.km (about 21.54% of India’s total GA) and tree cover is 93,815 sq.km (about 2.85% of the total GA). Of the total 8,021 sq. km increase in forest and tree cover, forest cover grew by 6,778 sq.km and tree cover by 1,243 sq.km. The increase in total forest cover also includes an increase of 181 sq.km in mangrove cover, taking the total mangrove area in the country to 4,921 sq.km. In 2015, India’s forest cover was 701,673 sq.km. The ISFR report is published every two years. The 2017 report is more comprehensive than the previous one as it is based on information from 633 districts compared with 589 covered in the 2015 report. “Dense forest, moderately dense forest and open forest is 98,158 sq. km (2.98% of GA), 308,318 sq. km (9.38% of GA) and 301,797 sq. km (9.18% of GA) respectively,” said the report. India targets having 33% of its GA under forest cover. According to the report, at present 15 states and Union territories have more than 33% of their GA under forest cover. Forest cover in hill districts grew by 754 sq.km, while tribal districts saw an increase of 86.89 sq.km in just the last two years, according to ISFR 2017. But, worryingly, forest cover in the northeastern region showed a decline of 630 sq.km. The report highlighted that about 40% of forest cover is contained in nine large patches across the country, each more than 10,000 sq.km in extent. Among the states, Madhya Pradesh has the largest forest cover (77, 414 sq. km), followed by Arunachal Pradesh (66,964 sq. km), Chhattisgarh (55,547 sq. km) Odisha (51, 345 sq. km) and Maharashtra (50,682 sq. km). However the forest area in all these states, except Odisha, has decreased since 2015, according to the report. 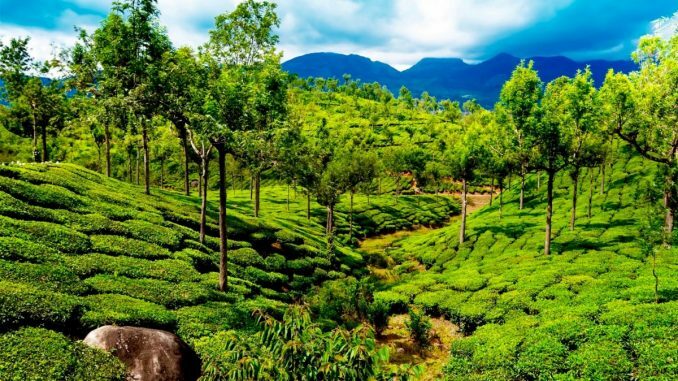 The top five states where forest cover grew are Andhra Pradesh (by 2,141 sq.km), Karnataka (1,101 sq.km), Kerala (1,043 sq.km), Odisha (885 sq.km) and Telangana (565 sq.km), while the top five states where forest cover declined are Mizoram (by 531 sq.km), Nagaland (450 sq.km), Arunachal Pradesh (190 sq.km), Tripura (164 sq.km) and Meghalaya (116 sq.km). This points to a worrying trend as the five states where the forest cover contracted the most are in the biodiversity rich northeastern region and had witnessed a decrease in 2015 too from 2013, according to the previous report. The report also revealed that 21,054 sq. km of non-forest area became forest area during the last two years, hinting that this may have been due to an increase in activities like plantation. However, 24,175 sq. km of forest area of different categories such as very dense forest and moderate forest turned into non-forest area due to deforestation or diversion of forest land for developmental projects. The latest ISFR report includes information about water bodies in forests, a new feature. The report revealed that there has been an increase of 2,647 sq.km in the extent of water bodies in forest areas over the decade 2005-2015. “All the states and Union territories show an increase (in water bodies) except Arunachal Pradesh, Uttar Pradesh, Haryana and Bihar,” the report added. Another interesting finding of the report is that the “net increase in forest cover has been observed in areas less than 1,000 metre altitude”, while in all other “altitudinal zones small net decrease has been observed”. According to the report, the total bamboo bearing area was estimated to be 15.69 million hectares, 1.73 million hectare more than what it was according to the 2011 ISFR. Meanwhile, stressing that India has shown an increasing trend in forest and tree cover compared to the global trend of decreasing forest cover during the last decade, Vardhan said India ranks among the top 10 countries of the world in terms of forest area, despite the fact that none of the other nine countries has a population density of more than 150 persons per sq.km, compared with India’s 382 persons per sq.km. As per the latest FAO report, India is 8th in the list of top 10 nations reporting the greatest annual net gain in forest area, the minister said. Siddhanta Das, director general of forests and special secretary in the environment ministry, said after a long time forests in the very dense forest (VDF) category have increased. This is important as VDF absorbs the maximum carbon dioxide from the atmosphere. ISFR 2017 further said the “total carbon stock is estimated to be 7,082 million tonnes” an increase of 38 million tonnes from 2015. India announced a voluntary target in 2015 of creating additional carbon sink of 2.5 to 3 billion tonnes of CO2 (carbon dioxide) equivalent through additional forest and tree cover by 2030. The report also said annual potential production of timber from Trees Outside Forests (TOF) is 74.51 million cubic meters. Environment secretary C.K. Mishra said the economic value of forests must be realised and that forests should be used economically. He said forests do not exist in isolation and the benefits of forests must be transferred to the people.